Back to school time is upon us – for some of us, it’s already begun. 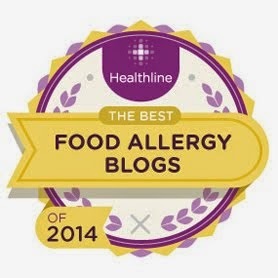 To help you get ready for school with nut allergies, I have a bunch of links that I will share at the end of this post. In the meantime, here's a new list of resources and items that you will find helpful in navigating a nut-free school year. First I want to talk about the wonderful company, OK2BPNUTFREE, one of my site advertisers. Run by the parent of a child with nut allergies, the company offers eye-catching medicine kits to keep at school, allergy-awareness clothing and labels to help identify your food-allergic child’s belongings. 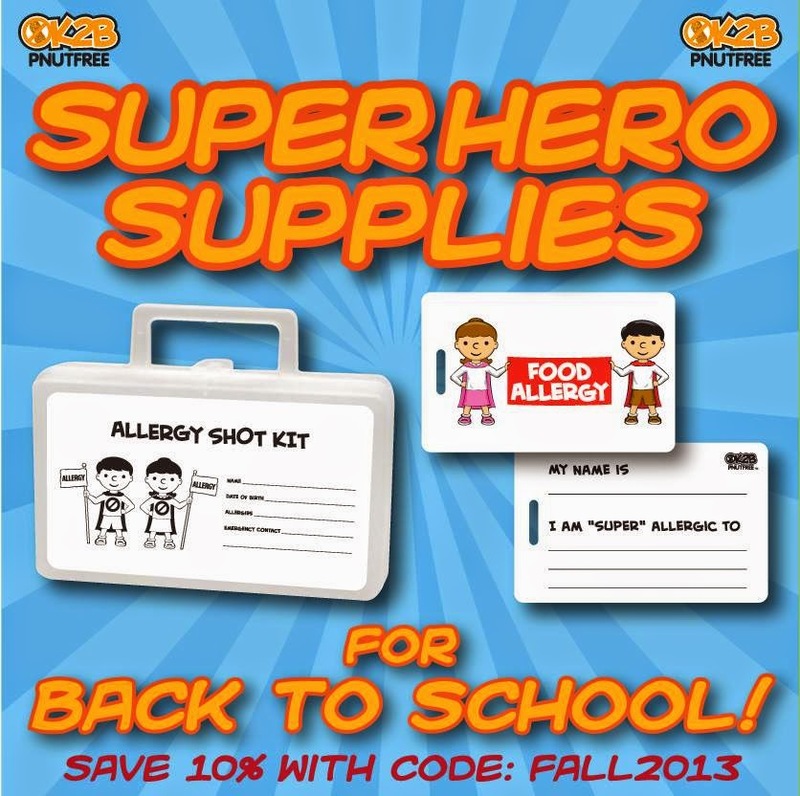 Please check them out – I especially love the “shot kit” as it can be personalized for your child and will be easy to spot in case of emergency. Now onto the nut-free food and snacks, always an issue at this time of year, what with lunches, after-school snacks, etc. I’m always happy to find allergy-friendly foods on the shelves that clearly state “Nut-free” and that are made in a nut-free facility. Just kind of makes life easier. Luckily, those types of foods are increasing. 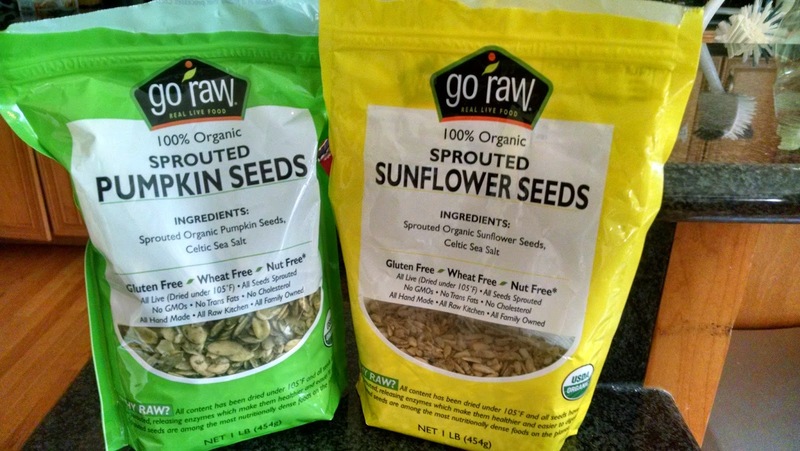 Go Raw seeds. Most pumpkin seeds and sunflower seeds contain frustrating statements about being processed on the same lines as peanuts or tree nuts. Not these: they clearly state NUT-FREE on the label. Plus they are “sprouted” seeds, so they are considered especially healthy to eat. Besides all that, these just taste great. The family is hooked. Please note that these seeds are not cheap; we paid $9 for a big bag at my local Fruitful Yield, a natural foods chain. However, they are an economical choice if you use them to create your own trail mix. I love prepared nut-free trail mix but it is $$$$!! (Seeds are not a nut, but please ask your doctor if your child can have seeds. Some kids with nut allergies are allergic to multiple foods.) www.goraw.com for more info. Nut and peanut-free, gluten-free, vegan. Soy Wonder Soy Butter. I’m normally not a big fan of soy butter and have tried multiple brands looking for one I like – and then I tried this stuff. I love the crunchy version. This is perfect for cookies, nut-free granola bars (see my recipe) and of course, sandwiches. 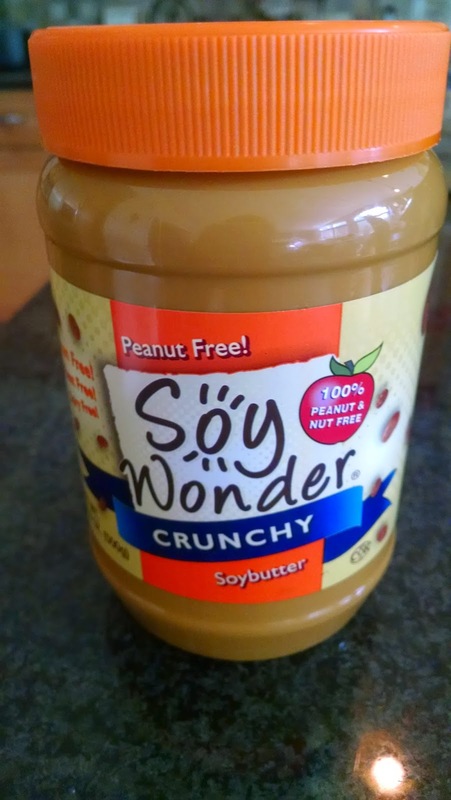 I generally prefer SunButter sunflower seed butter for just about anything, but Soy Wonder is a great choice for baking because you have no worries about the green color you sometimes get when using sunflower seed butter (due to the photosynthesis of sunflower seeds.) I found Soy Wonder at Publix in Florida; you can also get it at some Walmart stores and order it online from Amazon. It's peanut/tree nut-free, wheat-free, dairy-free and gluten-free. 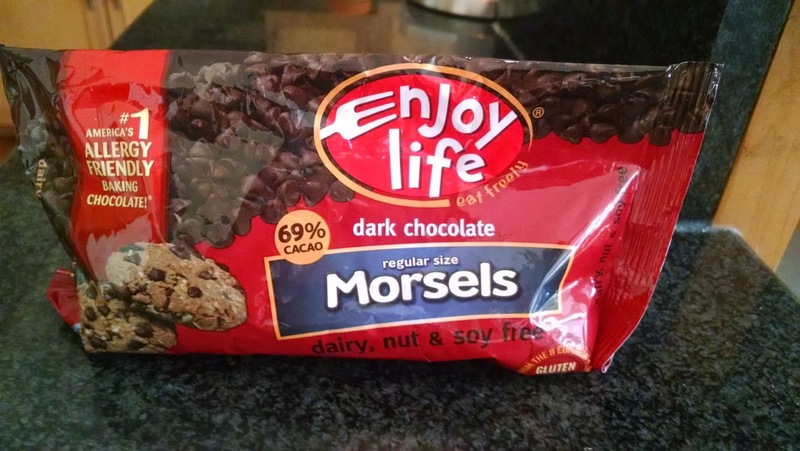 Enjoy Life Dark Chocolate Morsels. – Regular size. I spotted these babies at Super Target a few days ago. Hooray! First ELF made the mini chips, then the chunks – both are good and nut-free. But the regular sized chips? Imagine the possibilities. These add a nice dark chocolate flavor to your baked goods, or add them to your nut-free trail mix with the seeds above. Nut-free, gluten-free, dairy-free. 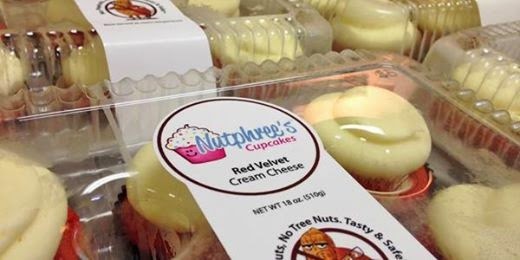 Nutphree's Cupcakes. If you are in the Chicago area, you can now find these fabulous peanut-free/tree nut-free cupcakes at Mariano's grocery stores. Look in the bakery where they have a specialty section of prepacked Nutphree's goodies. Visit the Nutphree's web site for more info. Nutphree's is a longtime advertiser on my site and I've used their products on numerous occasions. Going back to school with a life-threatening peanut/tree nut allergy isn’t only about the food and the gear you need. Please see my posts below for even more discussion about navigating nut allergies at school. And all the best to you and your family this year!! Food Allergy Action Plan from FARE: have your physician complete this form. For years, I've heard about how nut allergy-friendly Disney World in Orlando, FL is and I can now say that I know it to be true firsthand. 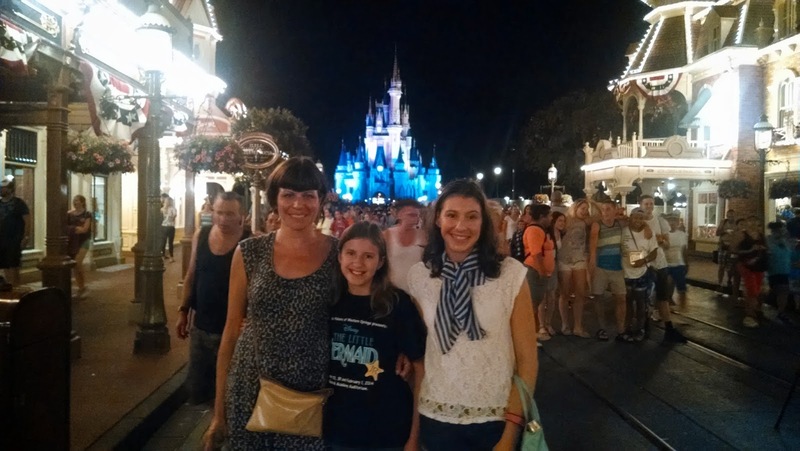 A couple of weeks ago my family finally went to Disney and while it was just a fun time overall, the approach to food allergies it what made the experience even more special for my entire family. When we first arrived at Disney after a long road trip, it was very late at night and everybody was hungry. We wound up in Tomorrow Land in one of the few late-night Magic Kingdom restaurants, Cosmic Ray's, and spoke to one of the workers. Without batting an eye, she brought out a binder with all of the foods that people with peanut/tree nut allergies could eat -- it was so detailed it even had photos of some of the ingredients used and their labels so you could read them yourself. And that really set the tone for the rest of our trip. We were pleasantly surprised at how well nut allergies were handled at the different parks and restaurants. Everywhere we went, food allergies were handled in a very professional way. Everything was very well thought out -- more than I've ever experienced. For example, we were able to get into the Be Our Guest (Beauty and The Beast castle) for lunch one day and you ordered using a touch screen. The meal was then delivered to your table (in Disney lingo this is "counter service."). During the touch screen ordering process, you were able to enter what food allergies you had, if any, and then the screen showed you what items you were able to order. It made the entire process much easier for us, that's for sure! In addition, a Disney chef came to our table to discuss our order and answer any questions. The best part: my daughter was able to have a delicious chocolate cupcake with amazing chocolate filling and decoration including a chocolate piece that said "Be Our Guest" in gold. Yes, a cupcake. If you deal with nut allergies, you know what a big deal that is. Apparently certain of the desserts at Be Our Guest were baked on site in separate areas. So, bring on the cupcake! We even got to visit Gaston's Tavern later that day, right near the Beauty and The Beast Castle. 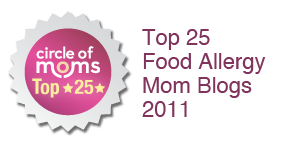 Again, they referred us to a binder with thorough food allergy info. Guess who got to enjoy a ginormous cinnamon roll? It was wonderful to be able to serve my daughter some baked goods and sweets that are normally off-limits due to cross-contact. 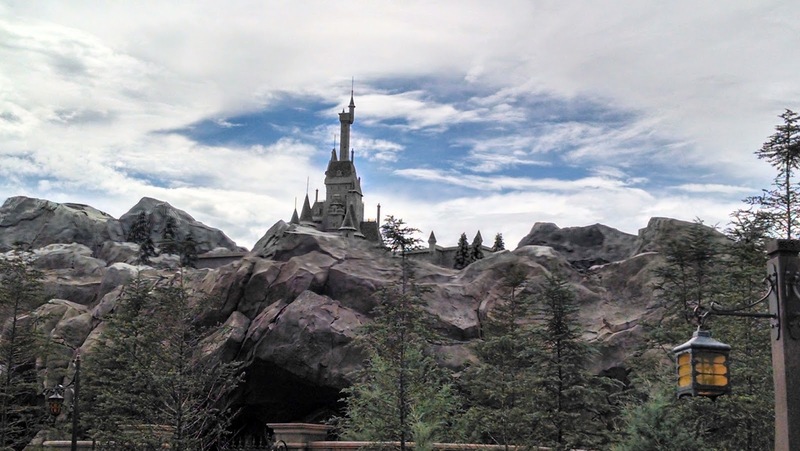 A view of the Beauty and the Beast castle tower and spires. We were fortunate to have been able to book another character dining experience, this time with an advanced reservation at Cinderella's Royal Table located in the iconic Cinderella castle. You book your reservation online and again, you are asked at that time to enter any food allergies in your reservation. At this character dinner (which was pricey, granted, but you get several souvenirs including a professional photo with Cinderella, photo ops with 6 princesses, take home souvenirs, and pretty much everything a princess could want), the chef came to our table and talked about the food in detail. He explained how he would go about creating a safe meal, a few substitutions he would do and how the kitchen worked. He knew his stuff and he persevered explaining everything to us even though the place got very noisy as someone got engaged at the restaurant as he was talking to us :)) He was very sweet to our daughter and delivered the substituted food to the table himself. Pretty impressive. Kudos to you, Chef Carlos. 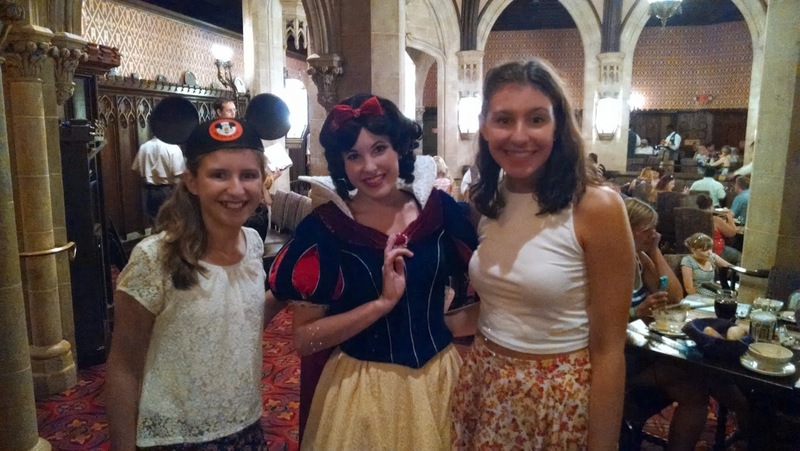 Snow White came to chat at Cinderella's Royal Table. Now,my daughters are older -- 11 and 14. They're not tiny little kids anymore but at Disney it doesn't matter. Everyone gets to be a kid there and treated to a good experience. I really appreciated the thoughtfulness of everyone we dealt with. 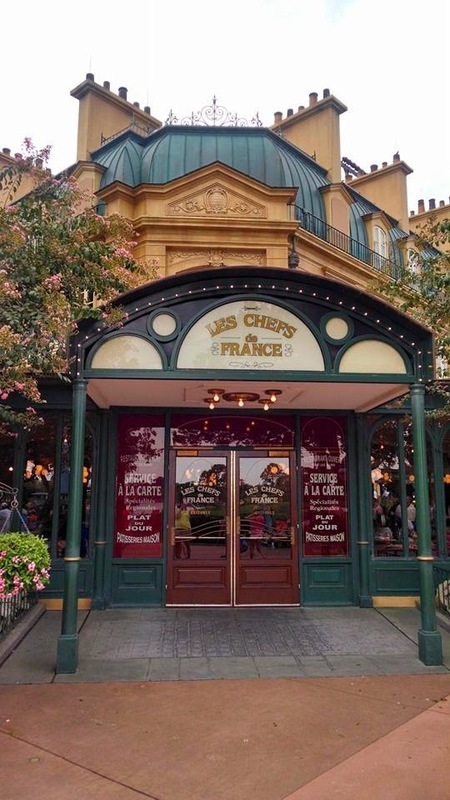 This is where we ate at Epcot. Tres bien. We also visited Epcot. Now, of course we avoided the Chinese food there, but we did walk into a French bistro with no reservation. Again, the chef came out, substituted some bread for an allergy-safe bread (it was gluten-free, too and my daughter said it was tasty) and suggested safe menu items. He displayed an excellent understanding of cross contact so we felt very good about the whole thing. And lo and behold, while were eating, Belle (she's French, of course) walked by us right outside the window. Talk about serendipity. To be clear: you can't eat everything at Disney World if you have a peanut/tree nut allergy. 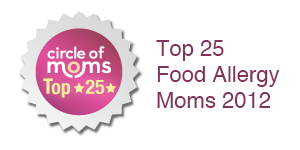 However, the clear labels, the detailed binders and the knowledgeable restaurant and food service staff will do everything they can to explain what you CAN have and how they can provide you with a happy, allergy-free dining experience. Even the "walk up" restaurants, for the most part, had decent options for our daughter. And like I said before, they take cross-contact seriously. With hundreds of restaurants at Disney, I obviously didn't visit them all but the ones I did were awesome. We also visited Universal Studios and Harry Potter World/Hogsmeade/Diagon Alley and they had similar binders which were very helpful. However, my daughter could not have the much talked about beverage -- Butter Beer. They had it listed for cross-contact with peanuts/tree nuts but at least they warned us, which we all appreciated. We at at the Three Broomsticks Tavern (I think that's what it was called. It was a long day. :) Also, the Leaky Cauldron in Diagon Alley seemed to have similar menu and set up. Just check with the staff when you arrive at the restaurant and they will steer you towards their allergy info. By the way, here's how to make Butter Beer at home. 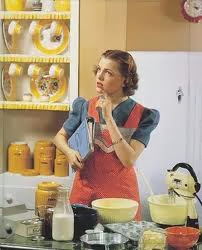 Take some cream soda, add a couple of spoonfuls of butterscotch ice cream topping or syrup (I use Hershey's, please read labels!) and swirl it together. Add some ice. Top with whipped cream and some more butterscotch. Yum. I hope I was able to shed some light on Disney World for anyone thinking about going there. Of course, everyone has different needs so I encourage you to visit the Disney World web site as we did to get started with your plans. When you see how they handle things, it makes you realize that nearly every restaurant could approach things the same way with the right education. Disney gets an A+ from my family. Hope to see it again -- soon! For more info on managing daily life with nut allergies, check out my e-book, available on Kindle and other formats (see the right side bar of this blog for more info.) Thanks to everyone for your great feedback on my book!